A case worker’s primary goal is to provide quality, personalized care for clients in need of public assistance. But with as many as 80 geographically dispersed clients to juggle each month, case workers can get bogged down with paperwork, cutting into the time they can spend on home or court visits. A remotely accessible enterprise content management (ECM) system allows any case worker with a smartphone to focus less on administrative work and more on the needs of clients. Here are five ways to support case workers with mobile technology and ECM. The ability to access client information on a mobile device saves the case worker countless hours in client visit preparation. One study found that case workers without mobile technology spend 50-80% of working hours on administrative tasks. The study also found that mobile technology adoption could result in a 45% increase in productivity. Instead of printing, filing and schlepping binders of paperwork from location to location, case workers can simply access the ECM repository to view, edit and save documents on site. Case workers can visit more foster homes with mobile ECM. Image via www.ricentral.com. Remote access to an ECM system allows case workers to stay current on all client cases and work-related tasks—no matter where they are. For example, case workers can receive automatic notifications when they’ve been assigned a new case or check the progress of a client-related process (such as a service request). With increased visibility into their workloads, case workers no longer have to visit headquarters just to find out what needs to be done. This helps case workers stay in the field where they’re most valuable. Sensitive client documents like birth certificates and social security forms should be readily available, but only to those who are authorized to handle them. Case workers must consider security as much as convenience when selecting a mobile system for case management. ECM systems can be customized so that users only see the information they need in order to do their jobs. 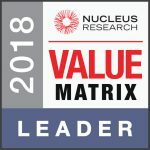 Documents can also be protected from unauthorized modification or deletion, and high-quality ECM systems even let managers see when someone attempts to open a restricted document. With ECM, case workers can upload images and documents directly from their smartphones. The submitted information can then be stored in a specified folder that can only be viewed by authorized users of the ECM system. Getting information directly from the point of contact (such as a visit with a foster child) to a secure electronic repository leaves less room for error or lost files. This is especially crucial if a child becomes the subject of a child maltreatment trial in which the case worker must provide evidence to an attorney. Along with documents and images, electronic forms can be submitted remotely. An ECM system with automation capabilities can instantly send a form to the appropriate person for review and approval, drastically reducing the time it takes to process benefits, reports and other case management tasks. In extreme circumstances when the health or safety of a client may be in jeopardy, faster processing time becomes far more than a convenience. Case management in the public sector requires frequent points of contact between case workers and clients. 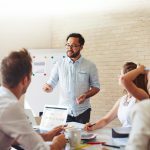 Mobile technology like electronic forms, camera-enabled smartphones and ECM make these meetings easier and more productive. 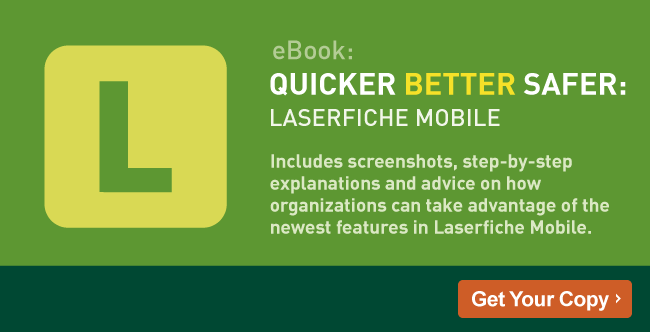 See how other organizations have improved productivity in and out of the office by downloading the free guide to Laserfiche Mobile—the on-the-go ECM solution.